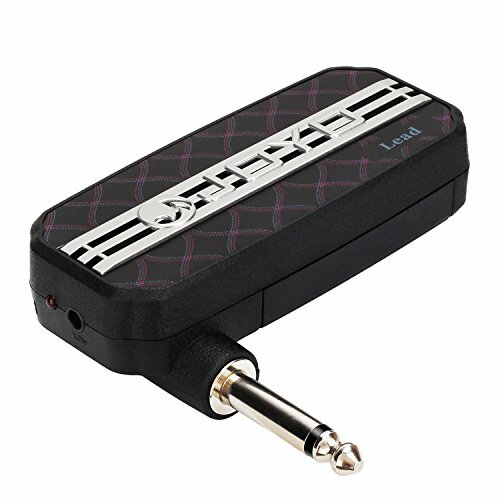 This Guitar Headphone Amplifier is committed to give guitar lovers a different experience when playing guitars. It provides professional effect of distortion and dynamic delay when you play of solo. MP3 and earphone 3.5mm input jack enables you to plug your CD or MP3 player in to play. Small size makes it portable and space saving, and you will just put it in your pocket, playing anytime and anywhere. We hope you enjoy your inspiration time with our Headphone Amplifier for Guitar. If there is any question about it, please feel free to contact us at any time. We will do our best to solve your problems immediately and take full responsibilities for the quality of it. Thank you. All products we sells can be changed or refunded in six months. If you have any problems. Please feel free to contact us. Professional effect of distortion and dynamic delay. It provides you the best experience of solo. MP3 and earphone input jack 3.5mm. It enables you to plug your CD or MP3 player in to play. Small size and save your space. It is portable and you will just put it in your pocket, playing anytime and anywhere. Easy to use. Just plug it into you guitar and enjoy your inspiration time. Power Supply: AAA batteries x 2, included.